Mobile data charges abroad can be prohibitively expensive and tethering for Wi-Fi burns through the phone's battery. The new Fonebud W wireless hotspot solves this problem for over 80 countries worldwide. Don chats with Dixon about the features of this new device. Using your home SIM while in a foreign land typically ends with a large bill when you get back, though seasoned travelers will have a pocketful of SIMs for local telcos. Mind you, it's still a pain making sure that your smartphone is unlocked and forwarding your calls to your new number (unless you have a dual SIM phone). 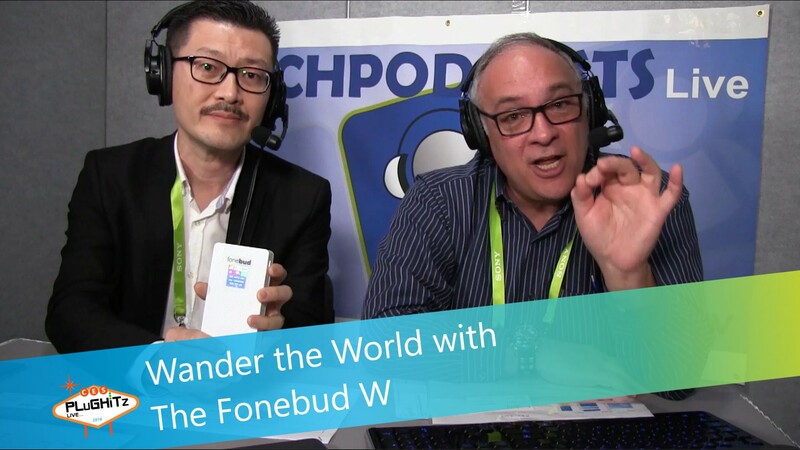 A much better solution would be the upcoming Fonebud W personal Wi-Fi hotspot which works in over 80 countries, particularly in Asia and China. The 10,000 mAh battery will run the Fonebud W for well over a day and can be used to wirelessly charge a smartphone. Yes, it has a wireless charger built-in, though you can still charge with a cable. The small LED screen shows details of connectivity and battery life. The Fonebud W will be available in Q2 2018 and will cost $129-$169 including 24 GB data which is valid for a year.